There has been a revolution in the commercial betting industry. Paddy Power and its ilk have employed memes, outrageous stunts and social interaction to transform sports betting into a $1 trillion industry. This drive towards accessibility and (largely) wholesome fun has been achieved despite sports betting being illegal throughout most of the world, including the United States. However, ‘social gambling’ (a notoriously slippery igaming term) has still had an impact on the American market. In fact, several creative services are making waves in the US – and generating healthy profits – without accepting a single money wager. Writing for the Independent, Rhodri Marsden describes a fresh trend in social gambling, pioneered by services such as BragBet, TedBets and Youbetme. Rather than relying on betting markets, these services allow players to set their own wagers, which may or may not involve hard cash. The genius of these services is in recognising the social aspect of gambling, divorced from the stuffy isolationism of odds and bookmakers. “The back-and-forth bets I make with friends are social and enjoyable,” said founder of TedBet, Scott Burton in an article on Forbes. Services like TedBet can be used for more ‘traditional’ sporting wagers, but in the casual style of a ‘pub bet’ as opposed to the rigidity of commercial betting markers. Critically, it is the user, not a bookmaker, who sets the odds and terms of a bet. 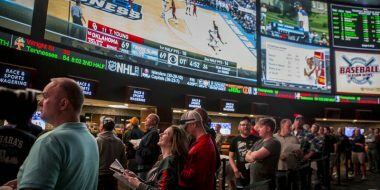 Other platforms sidestep draconian anti-gambling laws in the States by replacing actual cash with ‘fake money.’ The SideBet app, for instance, allows players to bet ‘wads’ of virtual currency against friends on the outcome of sporting events. 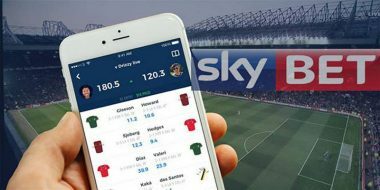 The app charges a nominal fee for the full service and monetises further with micro transactions on parlays and betting tips. For many players, the thrill of gambling is moot without the consequences of losing. When there is no obligation for money to change hands, where is the risk? One solution comes from YouBetMe: a social betting service that launched to coincide with the Super Bowl. 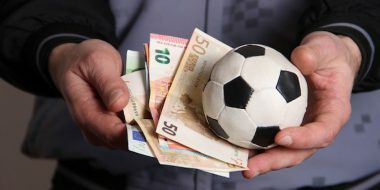 As reported by The Next Web, YouBetMe does not support cash transactions, meaning any bets placed are essentially ‘gentlemen’s wagers.’ However, reneging on a bet will show up on a user’s profile, naming and shaming the dodgers who try to weasel out of their comeuppance. Of course, a burning question remains: are money-free games totally benign? Taking it a step further, should underage users be allowed to get in on the fun? After all, if there’s no money being lost, what’s the harm? 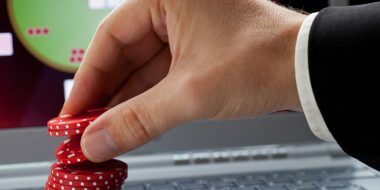 Samuel Miranda, Director at online casino comparison portal RightCasino.com (which is about to launch its own social service) was sceptical when approached for comment. “Money bets or not, this is still an adult product,” he said. 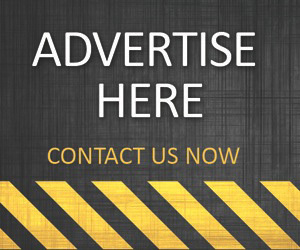 “You need a warning on all parts of the website stating that users under the age of 18 should not access any of our products under any circumstances. “[Social betting is] a classic foot in the door technique is getting people familiar to the game,” Dr Griffiths explained. “Getting people in a ‘no-risk’ situation where they can play for nothing and potentially win prizes. When they win prizes they feel great. That reinforces them. Despite these reservations, it seems that money-free social betting is successfully slipping under the RADAR of American lawmakers. For now. Perhaps as the industry gathers steam, companies will be placed under more pressure to protect youngsters from potentially harmful content. Furthermore, it remains to be seen whether these platforms will survive if commercial gambling ever returns to the USA.